We provide maintenance and repair of floor furnaces in Pomona and other Orange County areas and all other Southern California communities. Unlike other furnaces, floor furnaces have their own unique challenges. 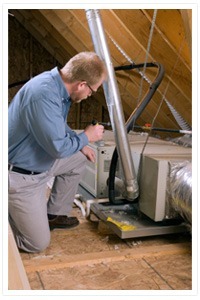 Because of how they work, it is common for these furnaces to have build ups of dust, dirt and hair. In high traffic areas, this often means that the vents become clogged and do not function efficiently. Left unattended, the debris can catch fire and cause extensive damage. Our technicians work on all types of heating systems and cooling systems & stay up to date on new technological advances. Brea Plumbing, Heating and Air Conditioning experts are fully trained and are certified to work on new heating systems and new cooling systems. Most Orange County Homes Are Filled With Toxic Chemicals. Just sitting on furniture, walking on carpet, and vacuuming can release these harmful particles.